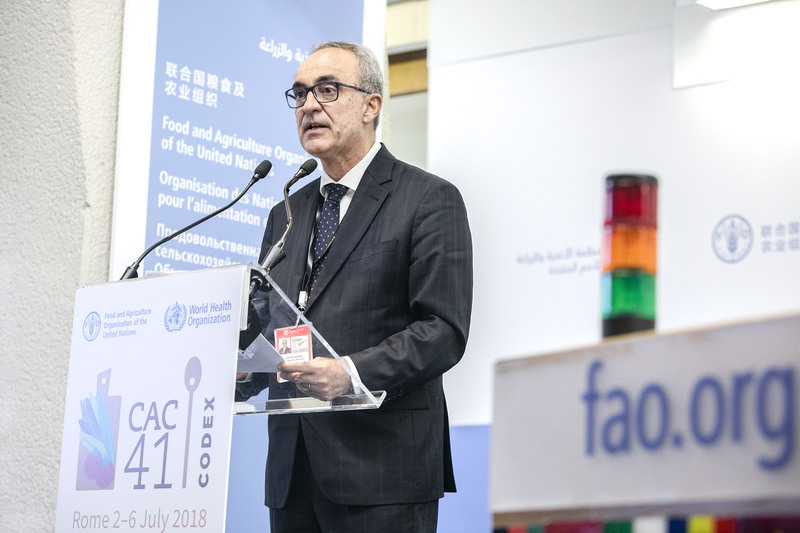 At a meeting attended by over 650 delegates from 121 Member countries and 84 observer organizations, more than 30 standards were adopted and will now be published in the Codex Alimentarius or “food code”. Some of the key decisions taken in Rome last week include the alignment of a series of food additives and full integration into the General Standard for Food Additives; new work on front of pack nutrition labelling; adoption of maximum permitted limits for various contaminants and maximum residue limit for vet drugs and for pesticides. In discussions surrounding the conclusion of the Residues of Veterinary Drugs Committee not to advance the proposed draft maximum residue limits for zilpaterol hydrochloride (a bovine growth promotant) in the standards development process despite consensus in that committee on the validity of the scientific assessment, the Commission supported the Executive Committee’s decision to review the procedural provisions available in Codex on matters concerning science and consensus. Some Codex committees are currently working by correspondence on particular issues including quinoa, processed fruits and vegetables and sugar cane juice. As work in Codex evolves there may also be occasions when there is a need to expedite other work for which the relevant committee is not currently holding physical meetings. The Commission wishes to explore consensus building and the standard development process in such circumstances and has requested the General Principles Committee to look at this from a procedural viewpoint. The Commission recognized FAO and WHO efforts to accelerate delivery and ensure continuous improvement of scientific advice to committees and the views of both parent organizations that stable, multi-year, extra-budgetary contributions are needed to support an enhanced FAO/WHO scientific advice programme. By working closely with their representatives in the FAO and WHO governing bodies Codex members are well placed to advocate for all matters pertaining to food safety including sustainable funding for scientific advice and support for the establishment of a world food safety day by the United Nations General Assembly later this year.